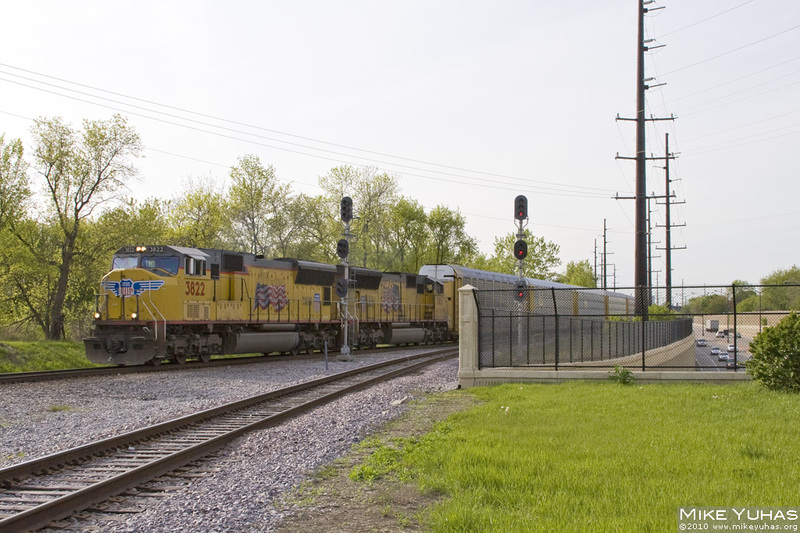 An extra train of multilevel auto racks heads south on the Milwaukee Subdivision at St. Francis. These autoracks had just been removed from long-term storage on the Marcy siding. Meanwhile, commuters on the Lake Parkway head home below.